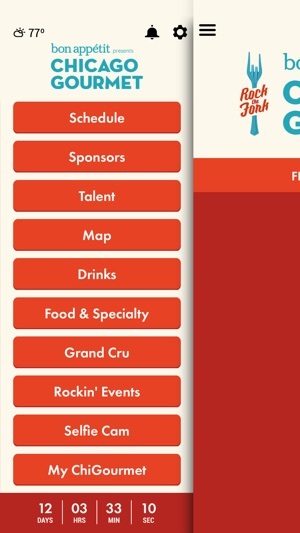 This is the official app of Bon Appétit presents Chicago Gourmet. Taking place in iconic Millennium Park, guests enjoy live cooking demonstrations with the nation’s finest chefs, expert wine & cocktail seminars, book signings, gourmet food samplings, and tastings from world renowned vintners, spirit makers, and premium breweries. 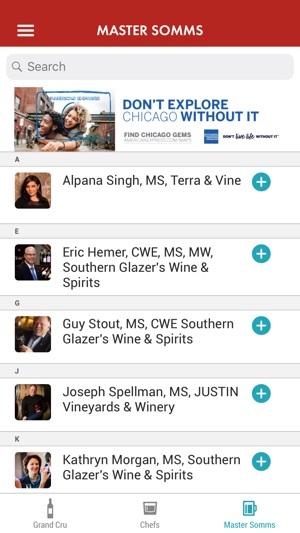 Chicago Gourmet is produced by the Illinois Restaurant Association along with title sponsor Bon Appétit, and presenting sponsor Southern Glazer's Wine & Spirits of Illinois. Full Schedule: View and locate all of the cooking demonstrations, seminars, gourmet food tastings, and book signings. Filter by day and by type of event. Plan ahead by creating your own personal schedule complete with alarms to remind you of upcoming events. 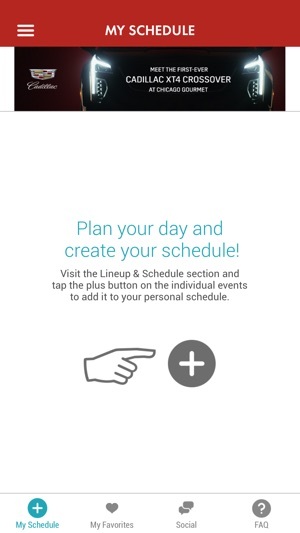 My Schedule: Create your own personal schedule within the Lineup & Schedule area simply by touching the “+” next to individual events. 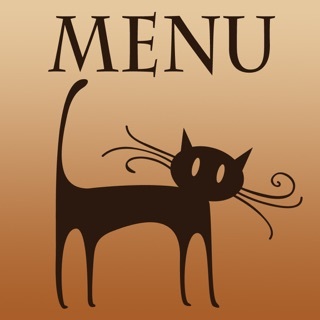 My Menu: Find a favorite new wine or restaurant? Add it to your personal menu! 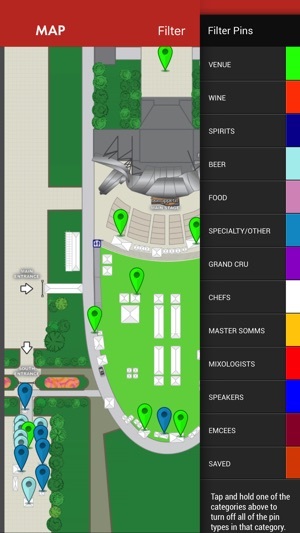 Map: The interactive map shows you where to find anything and everything within Millennium Park. Filter the map to display just the delicious locations you're looking to find. Refresh for Bon Appétit presents Chicago Gourmet 2018! If you've ever been to the Chicago Gourmet you know there is a lot to take in. This app is a great way to stay informed of various events and seminars you'll want to see! 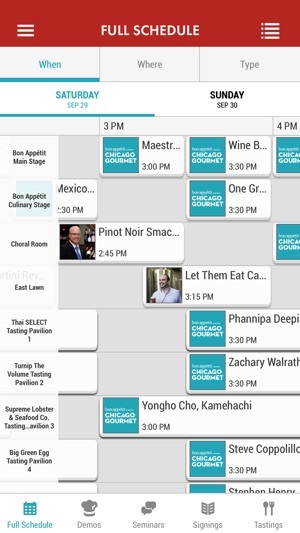 As a veteran Gourmet attendee, I love this app. It helps plan your day so you don't miss a thing. One more week. Can't wait.